New FlipSide is under construction! 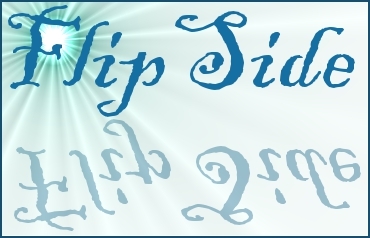 Welcome to Flipside, the completely unofficial contest section of WritersCo. If you are new to Flipside, please visit the Flipside Guide and the Roster before visiting the other sections. A collection of links within Writersco that may be useful or interesting. We're unofficial, we're trying to help all of Writersco! Contest Section - Official WritersCo contests page. The RPer's Alliance by [Aeolynn] - Best place for roleplay on WritersCo. Technical Details by [Kiddalee] - An up and coming list of information for all of your story-writing needs. Contains (and will contain more) articles on things like swordsmanship, horse riding, dancing, and other things we commonly use but often don't know a damn thing about. Critique Swap - Post your writing to be critiqued in return for doing a critique yourself. The Otherside - A mature wing of Flipside, adult themed contests and works. Please message [Fuzzysabeast] for info. 2007-05-04 [RiddleRose]: what sort of technical help do you need? 2011-03-02 [Akayume]: I wish that this hadn't died..
Maybe it doesn't need to be so complex this time, with all the different pages for chatting, workshops, feedback, contests etc... things we don't really have enough active members to really need yet! 2011-03-13 [Annie]: By the way...keep the old banner or create a new one? Thoughts? 2011-03-13 [Akayume]: New start, new banner. (: My thought. 2011-03-13 [Annie]: I propose that anybody who would like to should create a potential new banner and place it at the bottom of this page (I started as an example). Then if desired, we can vote for the one we want.